Not one to be out-staged by Elvis, Mom has left the building. Joy M. Lundberg passed peacefully on January 25, 2019, having just turned 90 years old. She was born in New London, Connecticut on January 3, 1929, to Albert William Lundberg and Helen Malone Lundberg. She was joined by two younger siblings; Sylvia Ann and Charles Peter Lundberg. Joy spent her childhood on the east coast, where she came to love boats, the sea and the fishing culture of the small port towns. She was bright and enjoyed school and learning. Joy’s family moved frequently in order to accommodate her father’s construction work, she eventually elected to spend most of her time alone rather than risk the loss of friendships because of the family’s next move. Joy wrote poetry about the beauty of the New England coast. At age 18, without her parents’ knowledge she saved her money and bought a shrimp boat. She planned to live on the boat and embark upon the life of a shrimper. That dream was dashed on her first trip out of port when she learned about seasickness. She sold the boat and never told her parents. Joy’s father was a successful project supervisor for huge construction companies so she became determined to go to work for him. She assumed that she would apply her considerable engineering skills on the job sites, but was mightily offended when she found herself at a desk job. Joy traveled the US with her parents and younger siblings, working with her father, always with an eye on the “real” jobs that didn’t include a typewriter. Joy was twice married. First to Calvin Dailey and later to William Alford Hatley, who passed in 1971. She remained single for the following 48 years, during which she earned Bachelors Degrees in Psychology and 2 Geology, as well as AA degrees in Welding, Metallurgy and Mining Electricity. She was affectionately known as “The Little General”, “MomCat” and “GrammaCat”. True to her academic ambition and interests, she worked at a plethora of diverse jobs over the years including welder/pipefitter on the Trident Nuclear Submarine in Groton, CT and in mining electricity with Union Carbide. She also enjoyed auditing college classes after retirement, always catering to her love of learning. Mom loved to write and one of her screenplays became an episode of the old Bonanza television show. She built model wooden ships to scale from scratch from complicated schematics, and she was a silversmith. She never stopped learning, and was an avid reader of non-fiction and especially WWII history. She taught herself German. Mom lived for the last 11 years at Independence Village in Fruita, CO where she cultivated valued friendships. 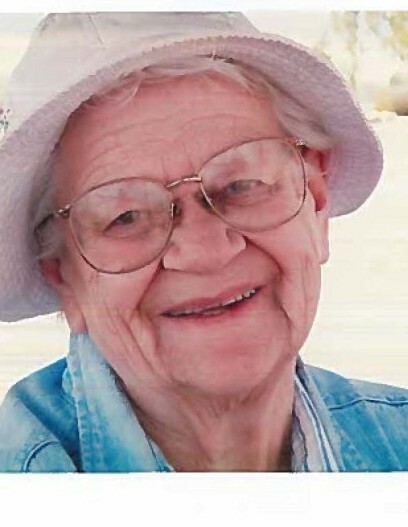 She was an avid and dedicated walker and became a fixture in Fruita with her tiny, 4’10” frame pushing her “grandma-dified” walker about town every day until just months before her passing. (Ever the engineer, Joy modified everything from bicycles to litter boxes to walkers to frying pans to her clothes.) Joy is survived by four grateful children, Pamela Rogers, Joy Ann Allen, William “Bill” Jr. (Peggy) and Amy Ellen French; 10 grandchildren - Sarah Jennings (Jarin), Carrie Freese (Travis), Will Hatley Jr., Shelby Pratt, Shanna Thomas, Jacy Gamble, Carin Connell (Ryan), Eric Hatley, Tristan French and Thadeus Jensen; 10 great-grandchildren Glen, Jack, Levi, Sean, Brandon, Eric, Rowan, Francis, Dalton and Charlotte and one great-great granddaughter, Nyla. Godspeed Mom. They broke the mold. 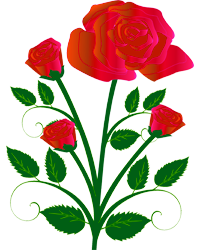 Special thanks and most sincere gratitude to the staff at Hope West Hospice, whose loving kindness supported Mom and made her passing comfortable and peaceful.